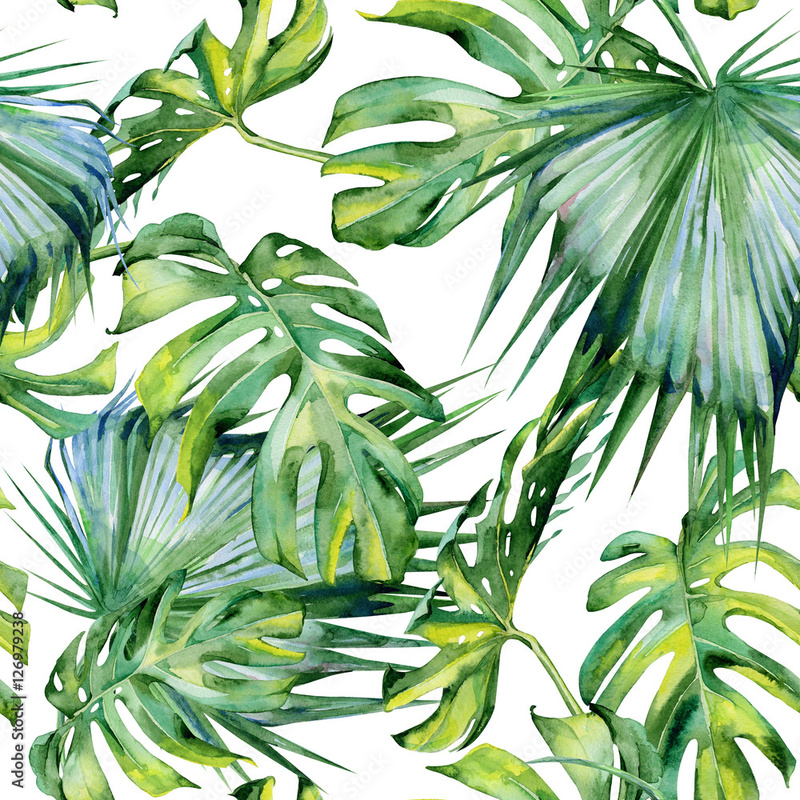 Seamless watercolor illustration of tropical leaves, dense jungle. Hand painted. Banner with tropic summertime motif may be used as background texture, wrapping paper, textile or wallpaper design.